​The $60 tickets are all-inclusive. Unlimited food and drink, including offerings from every restaurant, beer from Summit and Fulton and soft drinks as well! 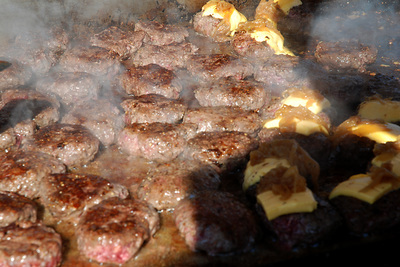 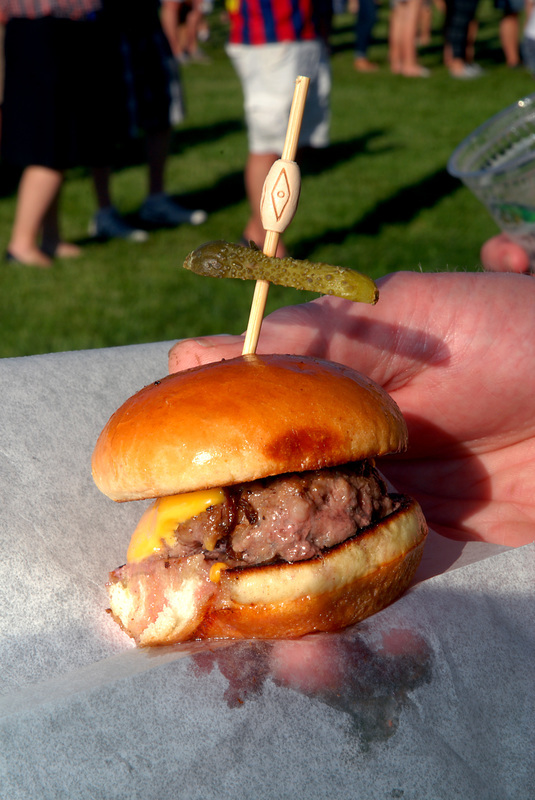 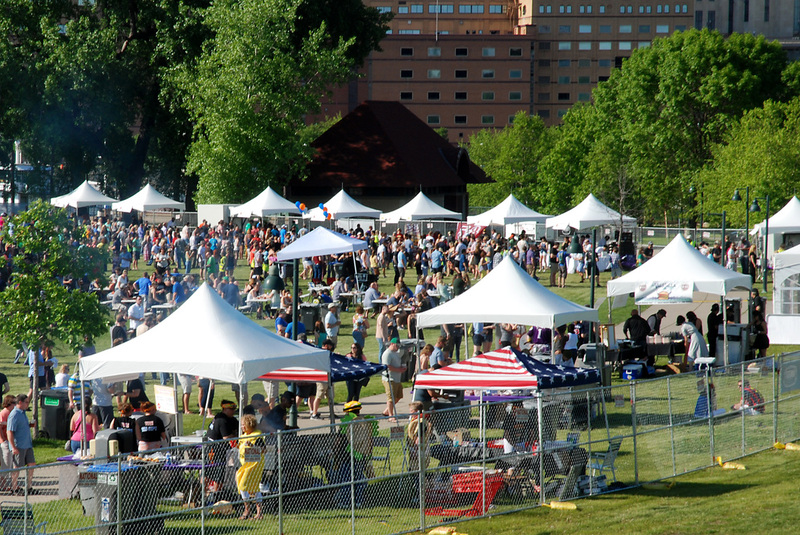 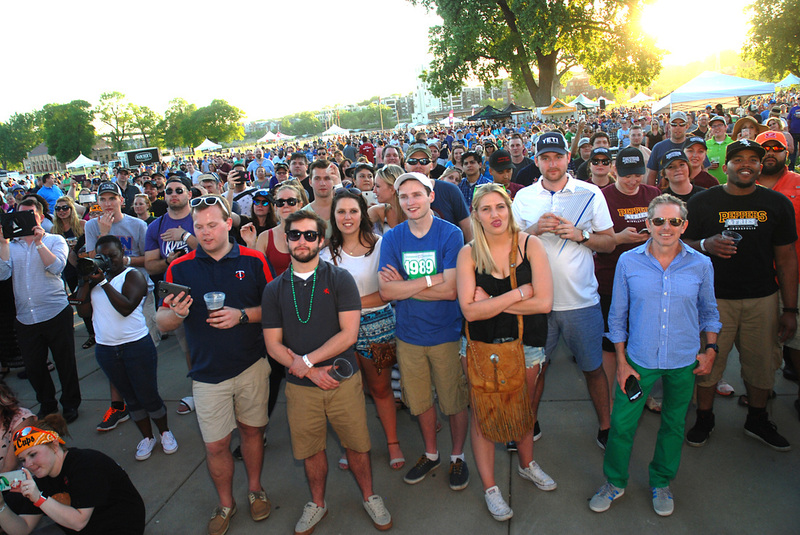 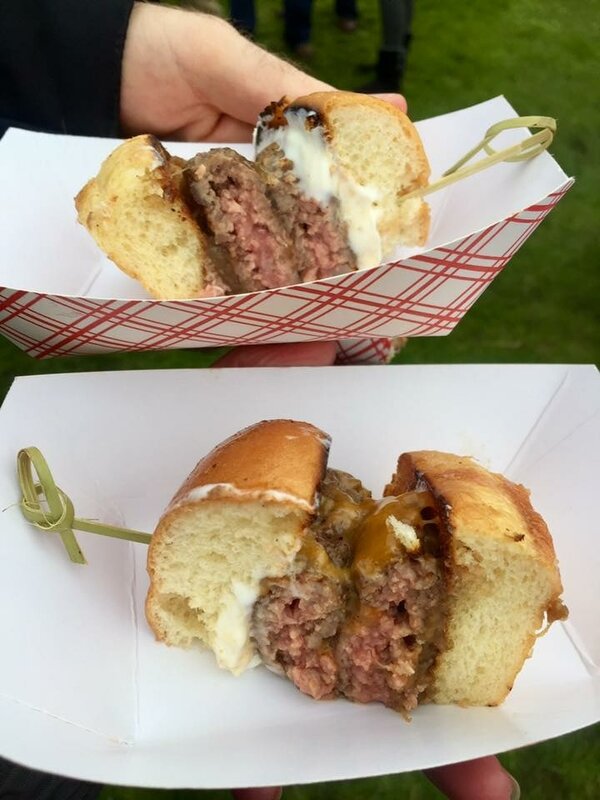 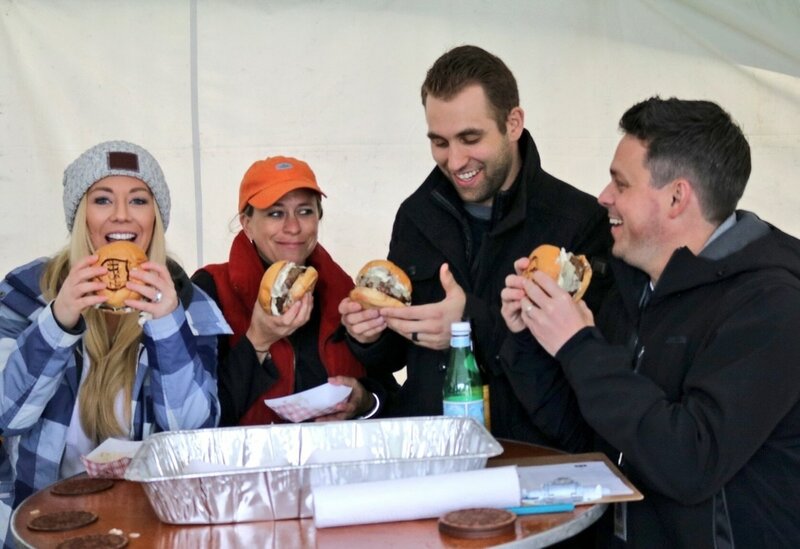 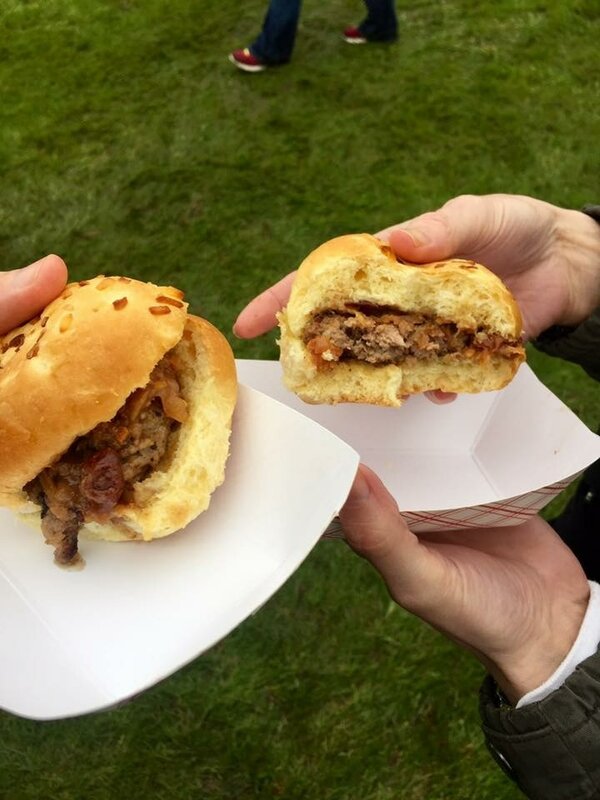 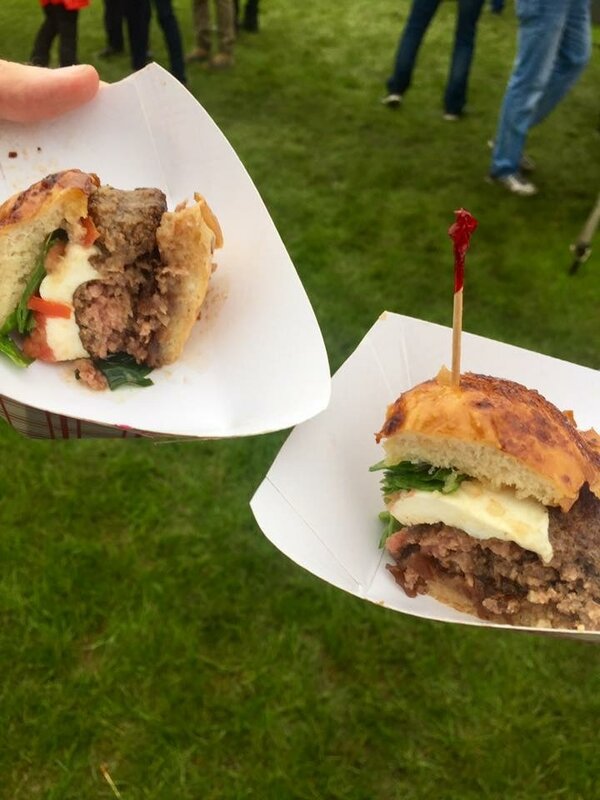 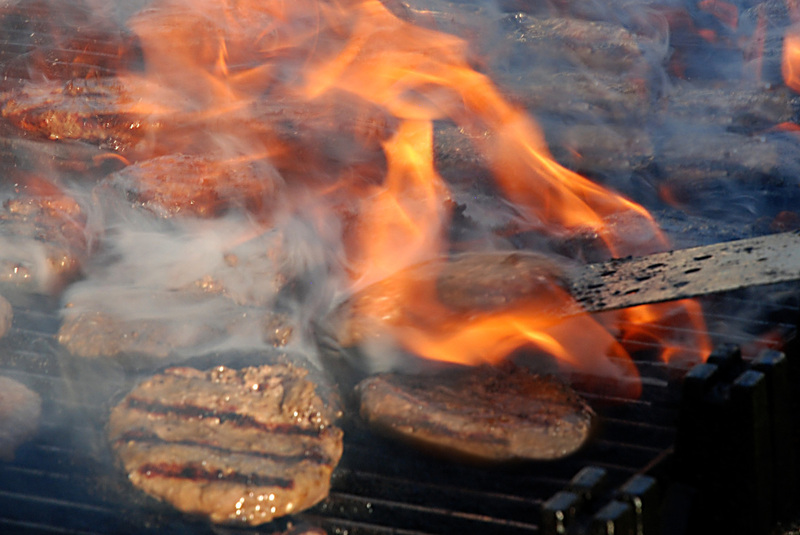 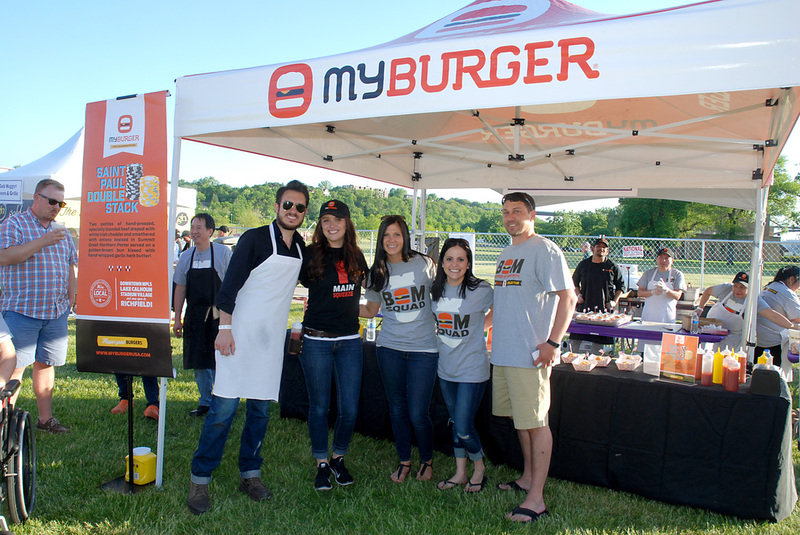 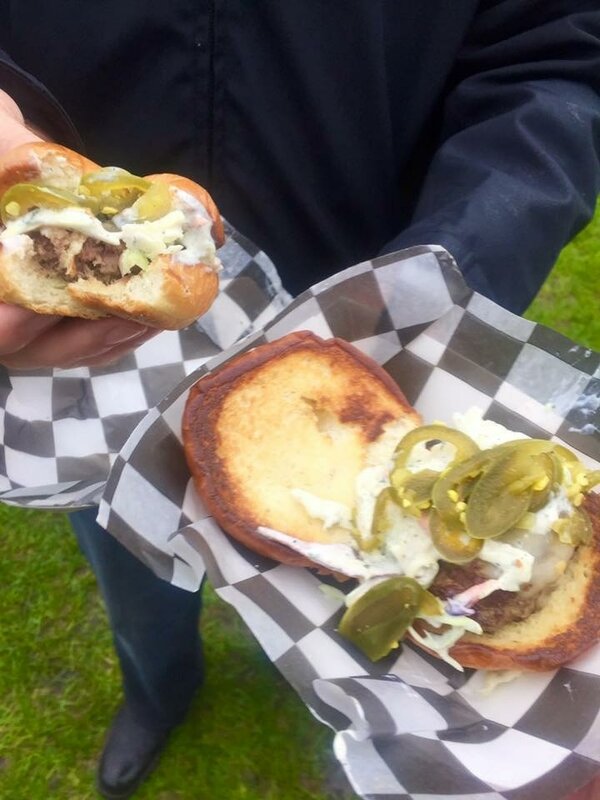 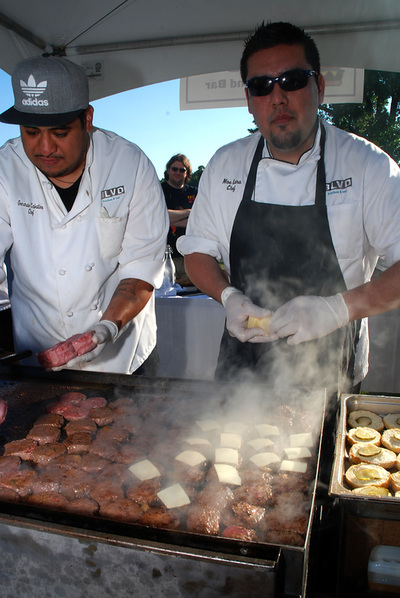 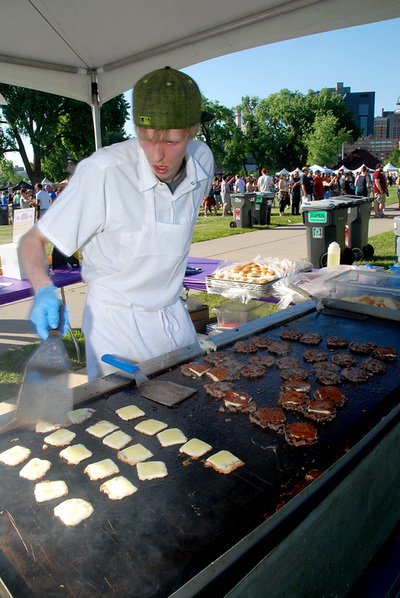 The Twin Cities Burger Battle is back on May 18th, at Harriet Island in St. Paul. This year's battle will bring out some of the Twin Cities' best local burger joints and restaurants to serve up burgers for attendees. The $60 all inclusive ticket will allow guests to enjoy unlimited beer and burgers from all participating local restaurants and breweries. 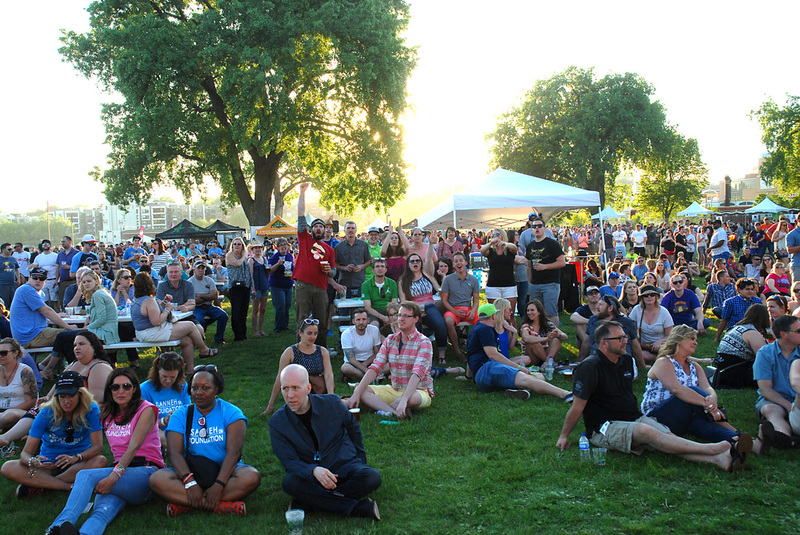 Guests will enjoy live local music and cast their vote to crown the People’s Choice winner. 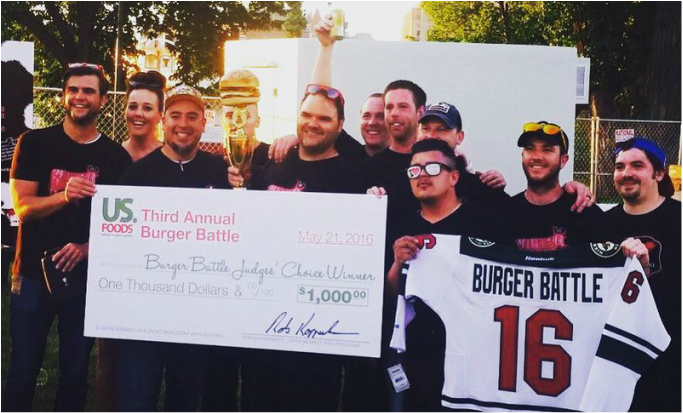 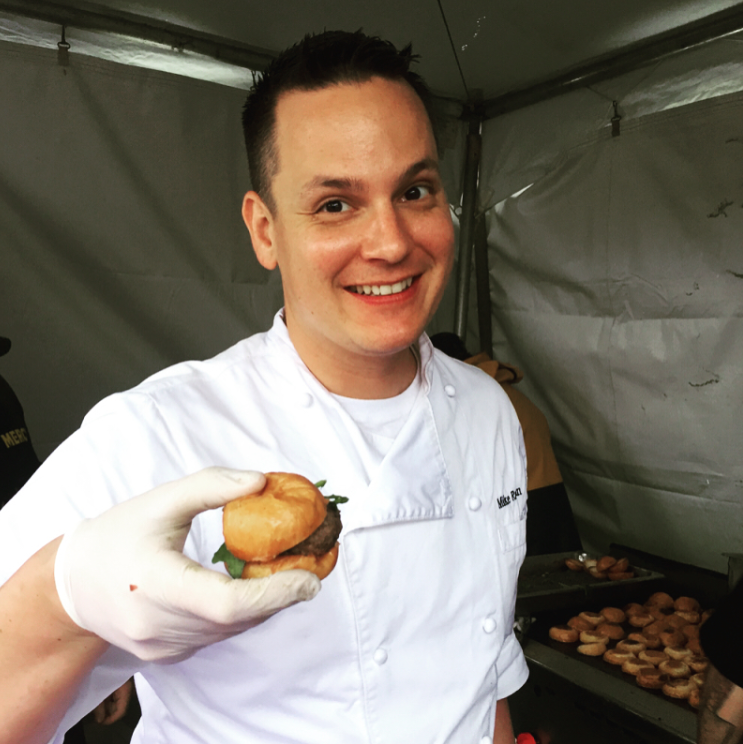 A panel of judges will vote to crown the Twin Cities Burger Battle judges winner. 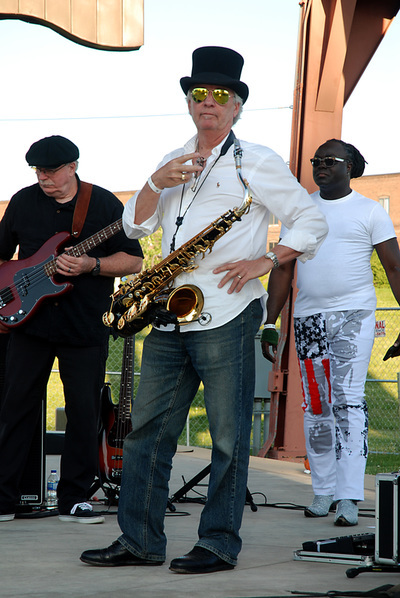 Live musical performances and activities will run throughout the event. A portion of the proceeds are donated to The Sanneh Foundation. 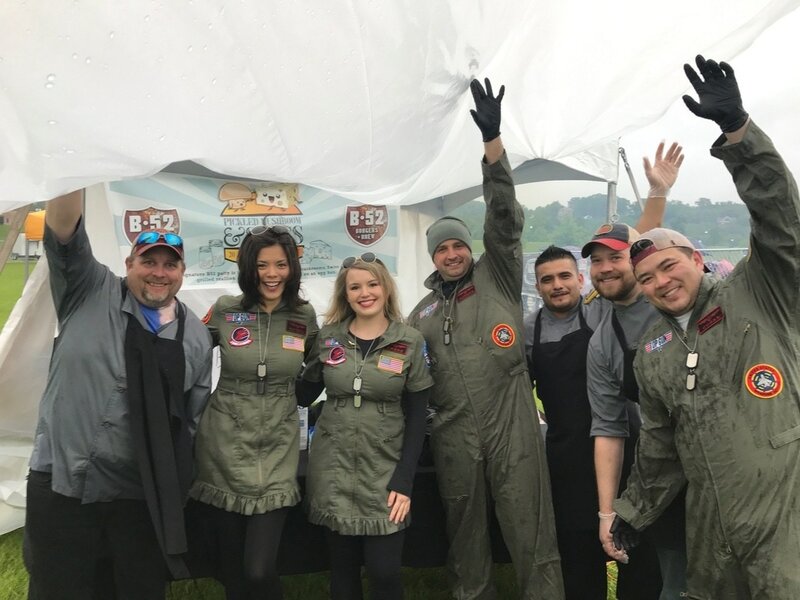 Watch the 2017 Burger Battle video below! 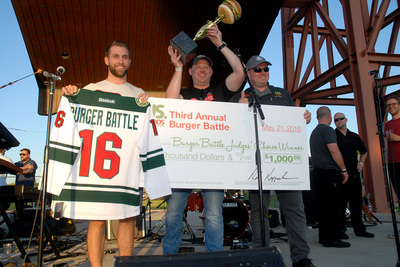 The Fourth Annual Twin Cities Burger Battle was one for the ages. 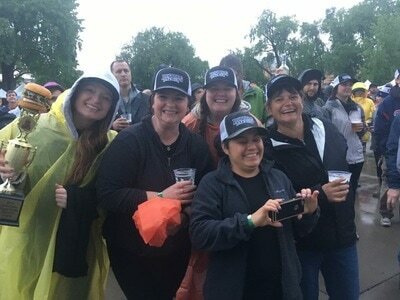 The rain and chilly temperatures could not keep the burger lovers away! 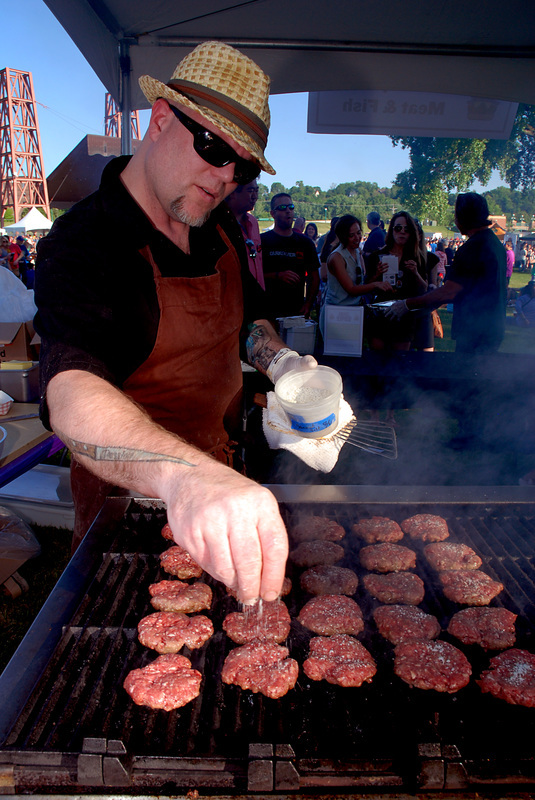 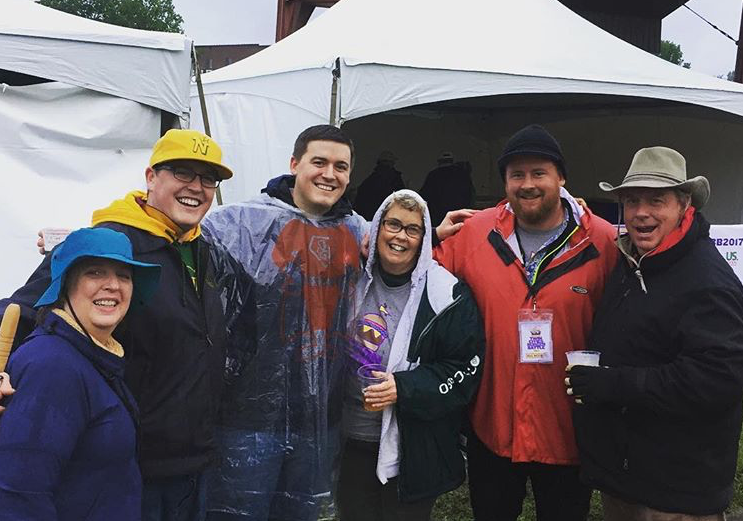 An estimated 2000 fearless guests made it out to Harriet Island and spend the day sampling some truly incredible burgers. Attendees crowned Casper and Runyon's Nook the People's Choice Winner and McKinney Roe of Minneapolis took home first place in the judges category. 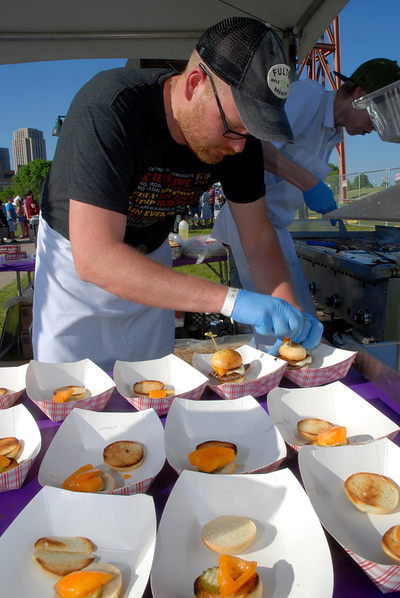 Our panel of judges consisted of Chef Gavin Kaysen of Spoon and Stable, Steph March of Mpls. 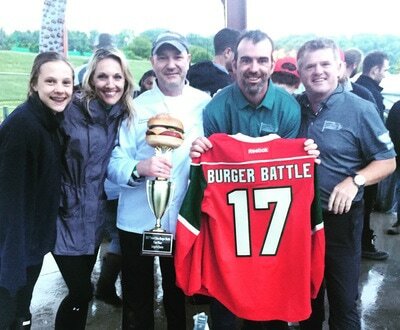 St. Paul Magazine, Chef Chris Schmidt of US Foods, Jason Zucker of the Minnesota Wild among others. A huge thanks to everyone who made it out, it was another successful year! 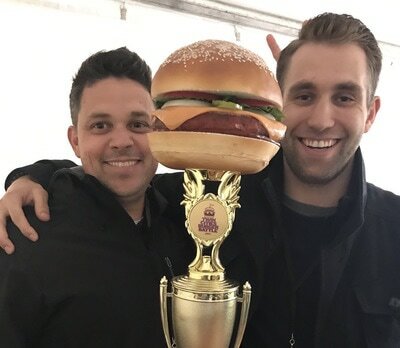 Watch the 2016 Video Here! 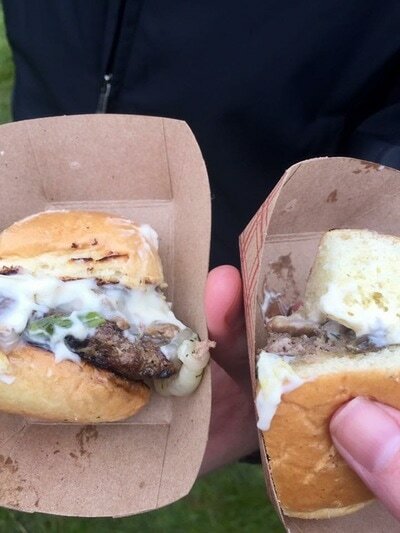 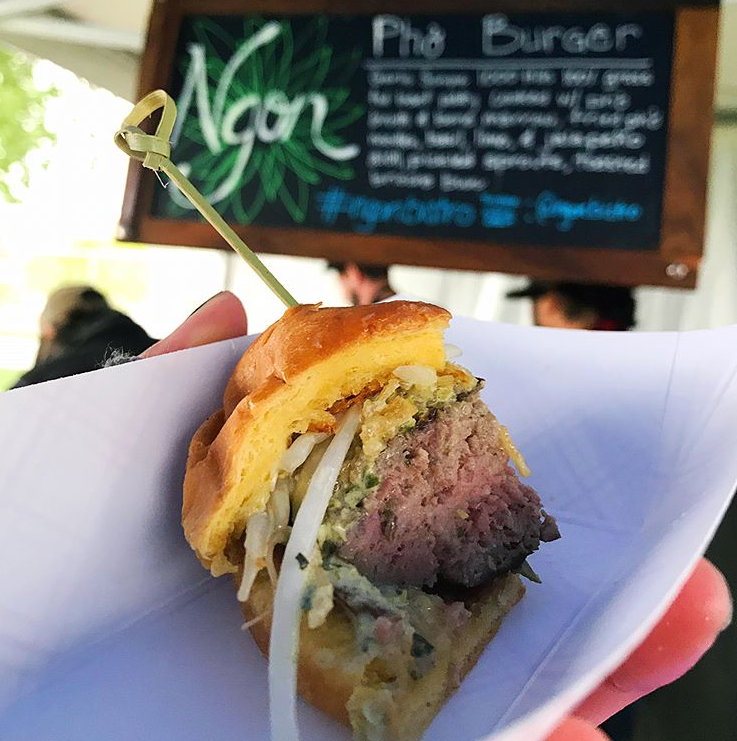 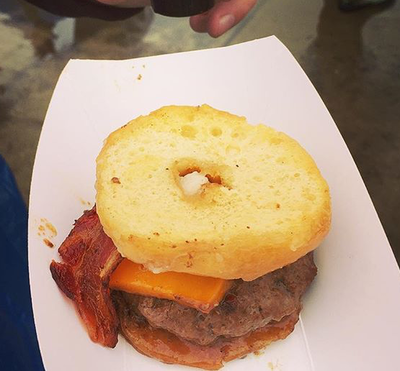 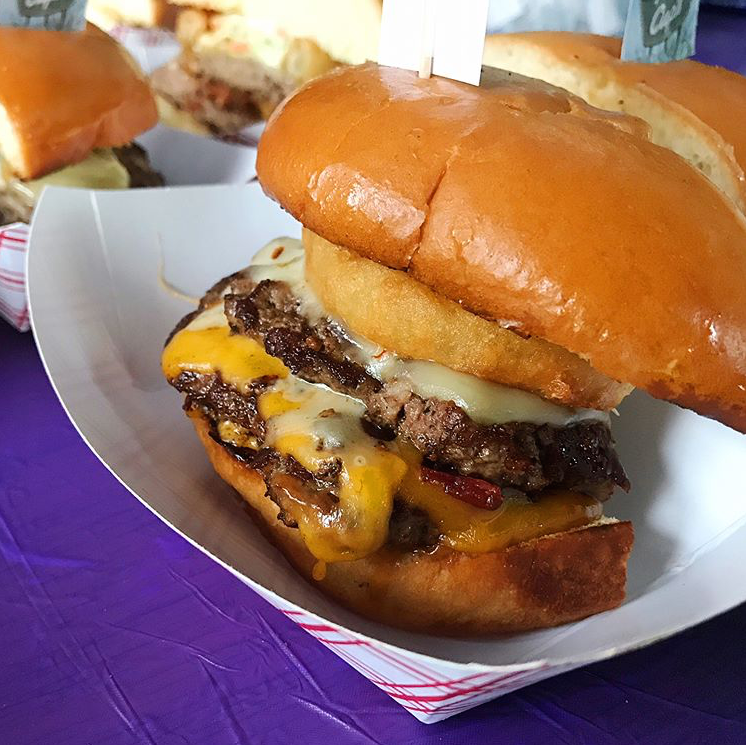 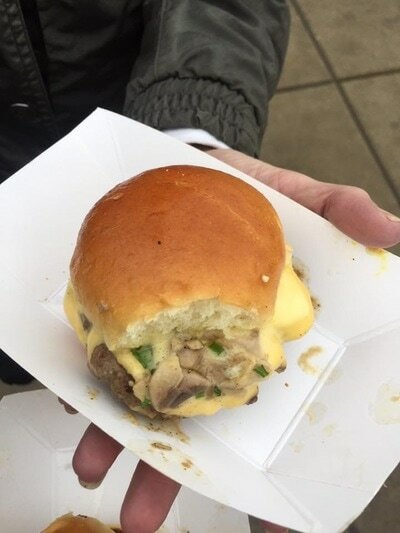 On May 21st, a sold out crowd of 2500 guests gathered at Harriet Island to sample burgers from 25 of the best burger restaurants in the Twin Cities. 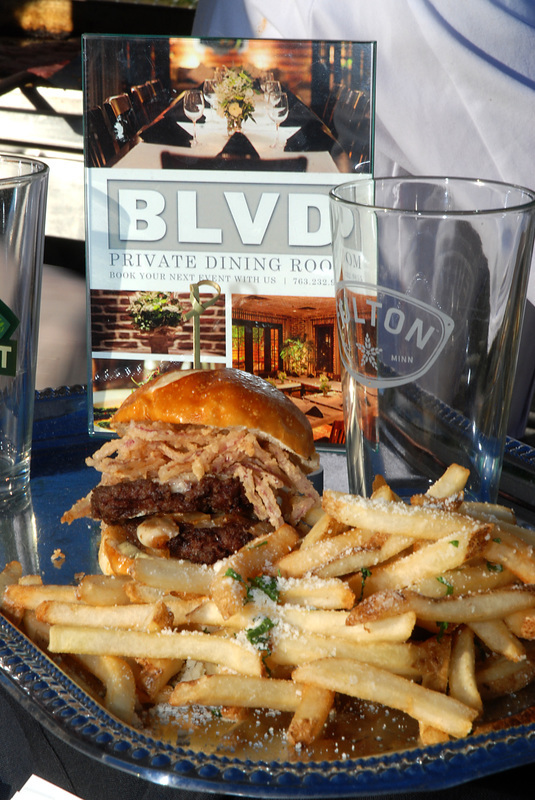 Guests casted their votes to crown Pepper's & Fries as this years People's Choice Winner. Our panel of esteemed judges sampled all burgers and anointed Red Cow as this years Burger Battle Champion. 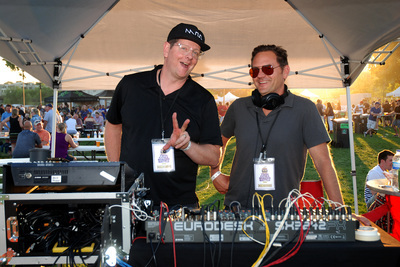 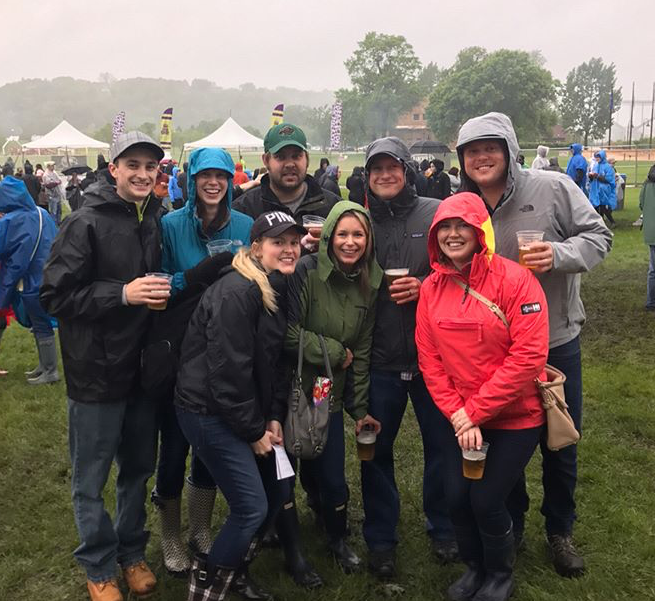 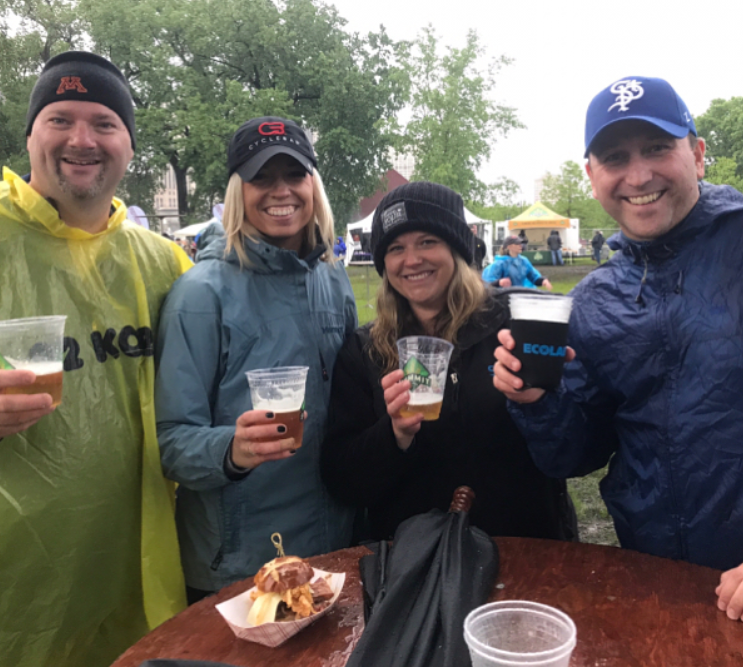 Beers were provided by Summit Brewing and Fulton Beer and the live tunes were supplied by Funktion Juction, local cover band. $12,000 dollars was raised for the Sanneh Foundation of St. Paul, MN. Check out this year's photos below and congrats to our winners!